Built in 1906, this stately, 90-foot beacon on Lighthouse Hill has a base of limestone bricks that rises to an elegant and traditional New England styling at the tower’s apex. The interior of the tower has 104 steps in a gently spiraling staircase that is lined with red brick. This lighthouse is still in use today, although its functions in directing any ships in Ambrose Channel are fully automated. The former lighthouse keeper’s cottage nearby is now a private home. This charming structure guarded the banks of the Hudson River near a dangerous section of water known as Jeffrey’s Hook. Painted in striking scarlet, it stands today in Fort Washington Park, just underneath the George Washington Bridge. 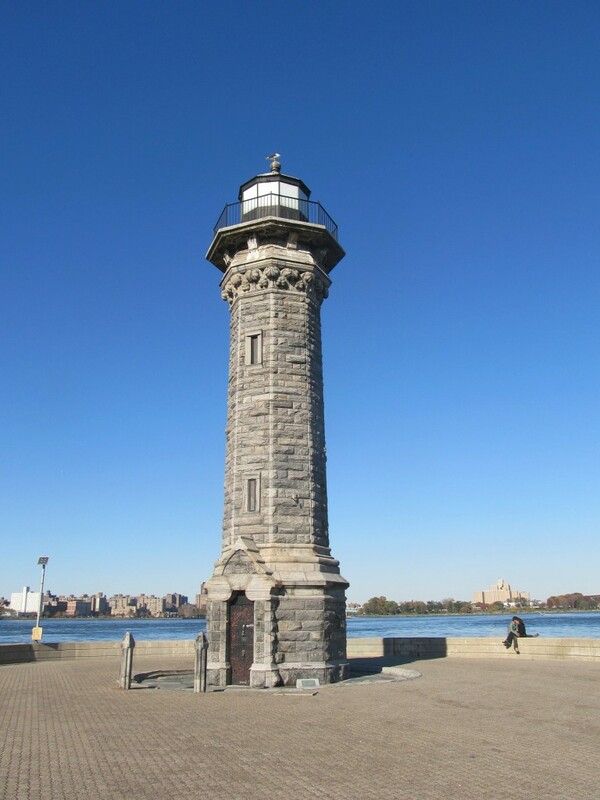 The 40-foot beacon began as a simple red pole designed to alert boat captains, but in 1889, a light was added. 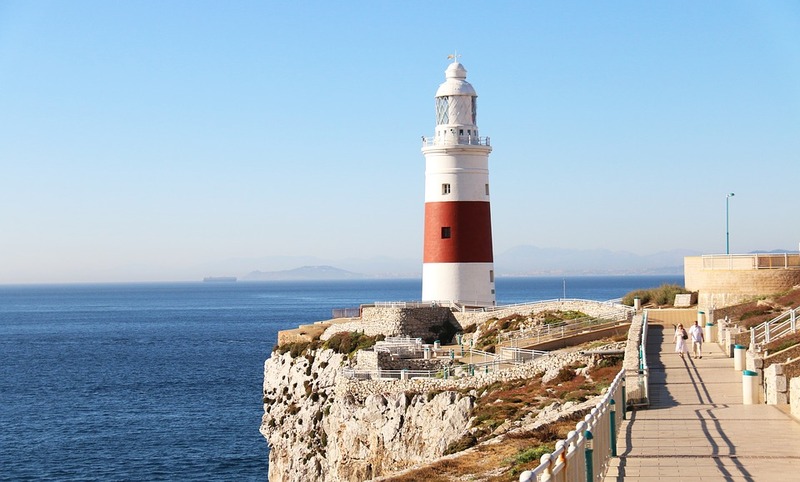 The current structure was built in 1921 and is famous for its mention in The Little Red Lighthouse and the Great Gray Bridge, written by Hildegarde Swift in 1942. Although it is no longer functional, it is a listed building with the National Register of Historic Places and is still lit each night. 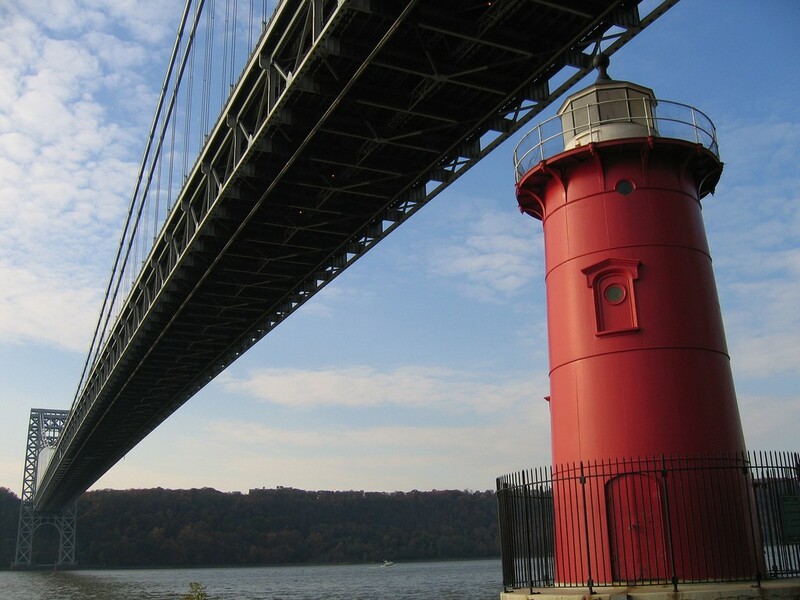 The little red lighthouse that now sits in the shadow of the Washington Bridge, might be tiny, but it played a big role in helping guide many a ship. Photo credit Flickr user CPW View. Standing 75 feet tall on the western tip of Brooklyn’s Coney Island, this lighthouse was first built in 1890, although the current building dates to 1921. The solid steel structure is painted in stark black and white and is characterized by its red light, which shines for five seconds at a time. It is still in operation today, meticulously maintained by the U.S. Coast Guard. Gracing Roosevelt Island’s northeastern end, the Blackwell Light is an octagonal tower built of craggy gray stone in 1872. While it’s rumored that the Blackwell Light was constructed by an asylum patient named Thomas Maxey, no one really knows the whole story. The light stands 50 feet in height and for decades guided ships traveling in the East River. It ceased official operations in 1940, and restoration efforts were completed in 1998. Today it is listed on the National Register of Historic Places and can be visited on Roosevelt Island, although its interior is closed. Perched at the end of Roosevelt Island, the Blackwell Island Light was supposedly built by a patient from a nearby asylum. 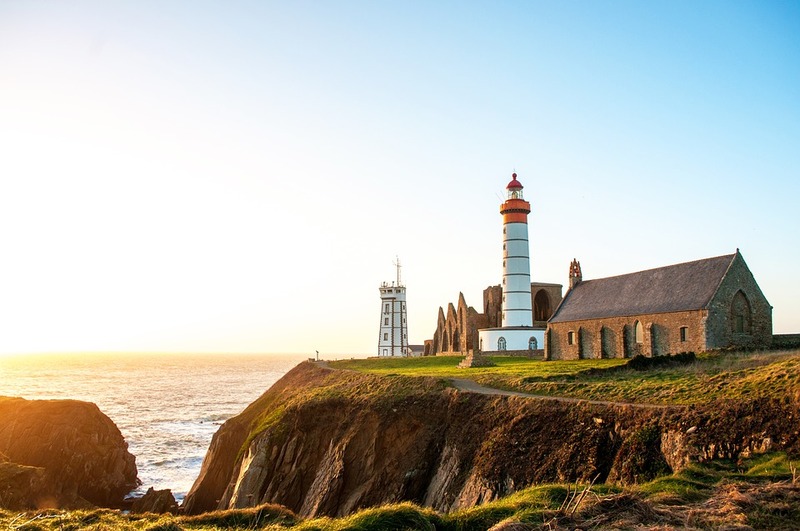 This lighthouse might cause one to do a double take, because of its odd location. This lighthouse is perched on top of a storage facility. While not functional, this Bronx landmark was built as a nod to the H.W. Wilson publishing house that offices in the building below. 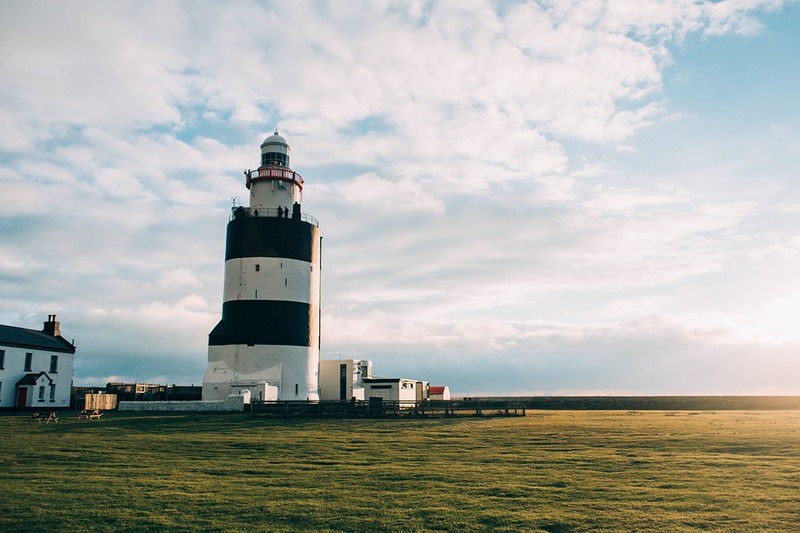 This company was known for such publications as Reader’s Digest, and the lighthouse was meant to symbolize giving guidance to the many readers of Wilson’s publications. Today, the lighthouse can be seen by perched high above the bumper to bumper traffic on the Major Deegan Expy, helping guide customers to their overfilled self-storage units. Built in 1913 solely to honor those drowned in the Titanic sinking in the North Atlantic, this 60-foot-tall memorial stood on the top of the Seamen’s Church Institute in Lower Manhattan. Its white stucco exterior featured a metal pole at the apex with a ball that would drop every day at noon as a signal to harbor ships. In 1976, it was moved to the South Street Seaport Museum entrance, where it can be visited today on Pearl Street.